Uefa has for the first time awarded Scottish football a second place in the Women's Champions League. 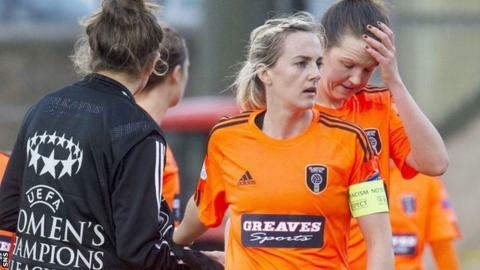 From next season, the Scottish Women's Premier League will have two representatives thanks to Glasgow City's performances in the tournament in recent seasons. City look likely to be joined by Hibernian as the two teams vie for top spot in the domestic league. Uefa has increased from eight to 12 the number of leagues with two teams. Scotland, ranked 11th by Uefa, join Germany, France, Sweden, England, Russia, Spain, Denmark, Italy, Austria, the Czech Republic and Norway.